s surprising as some might find it, not all Hollywood A-listers and sports stars live in the McMansions that are typically expected of… Hollywood A-listers and sports stars. HOWEVER, there are those few, those very special few who have decided to resist the expected and live an easier, more simple, and tiny lifestyle! 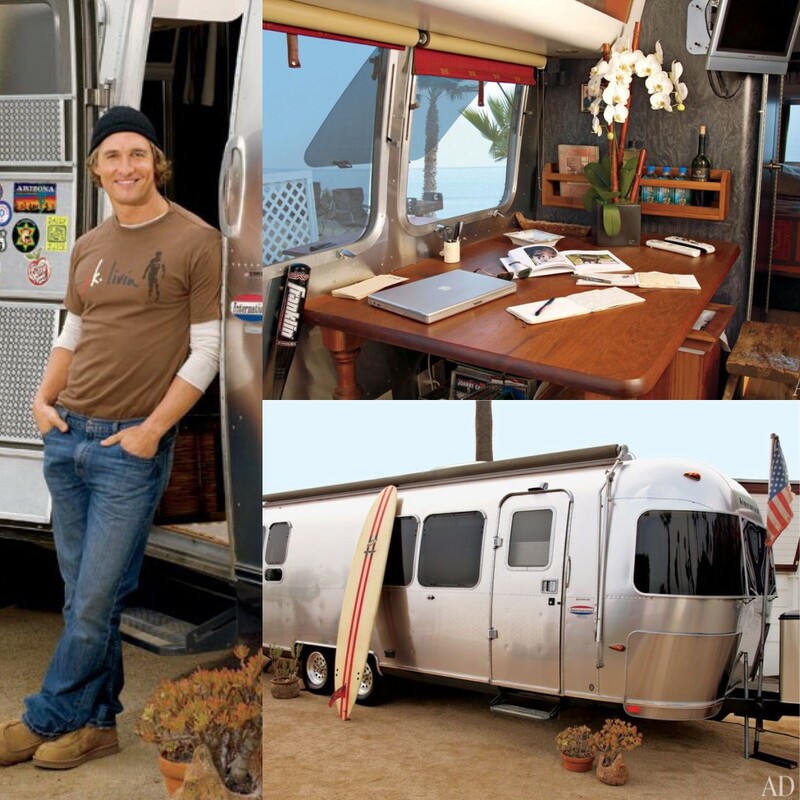 Kicking off these rebel celebs is A-lister and Oscar Award winner Mathew McConaughey who lived in a customized 2004 Airstream trailer in 2008, only 7 years ago! Although no longer a bachelor and having expanded his footprint, McConaughey still has his Airstream parked in Malibu where he uses it as an office and headquarters for his music, production, and clothing company, j.k. livin. McConaughey might have left the tiny house but the tiny house hasn’t left him as he’s currently in the midst of customizing two more Airstream trailers! Check out more pictures of McConaughey’s surfer Airstream. 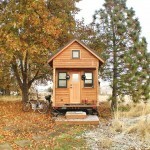 Next is Vincent Kartheiser who although is a fan of tiny house living, put his 603 sq.ft. 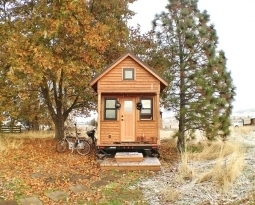 Hollywood tiny house up for sale after living in it for more than 10 years. 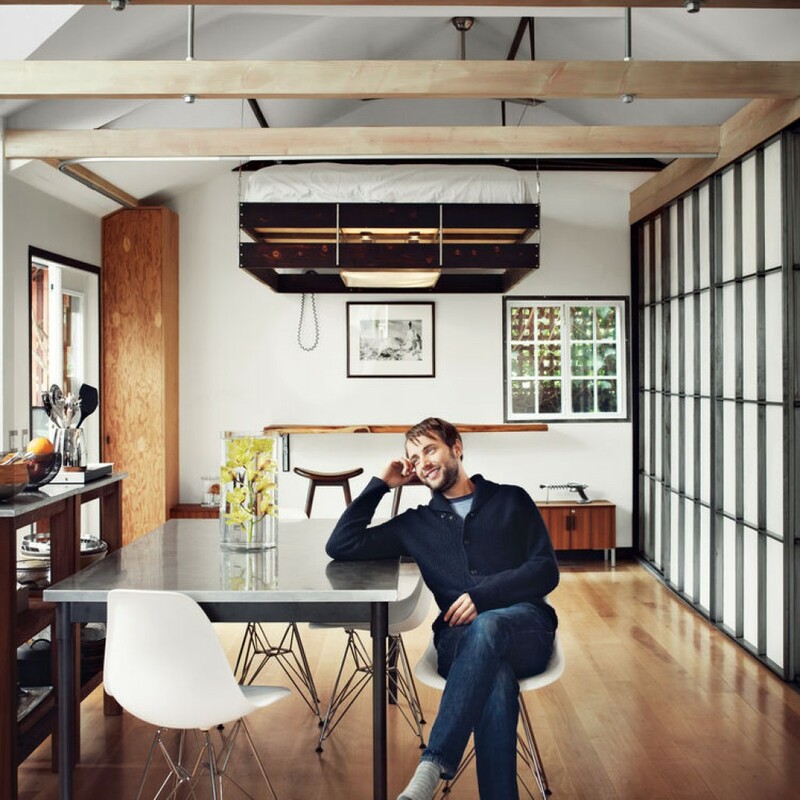 Kartheiser worked with designer and builder, Funn Roberts, to not only make a wicked bed that can be raised to the roof and lowered to the floor by pulley system, but also create a Japanese-Industrial style within his humble abode. A huge advocate of simple living is Tom Shadyac. “Who the hell is Tom Shadyac?” you ask… well settle down. You’re probably not alone in failing to know who one of the best directors of our era is and who’s hits include (but aren’t limited to) Ace Ventura, The Nutty Professor, Patch Adams, and Bruce Almighty. What many also don’t know is that in the pursuit to further enjoy life and focus on what matters to him, Shadyac denounced the typical standard of success and downsized from his 17,000 square-foot mansion to a 1000 sq.ft. mobile home in Malibu. 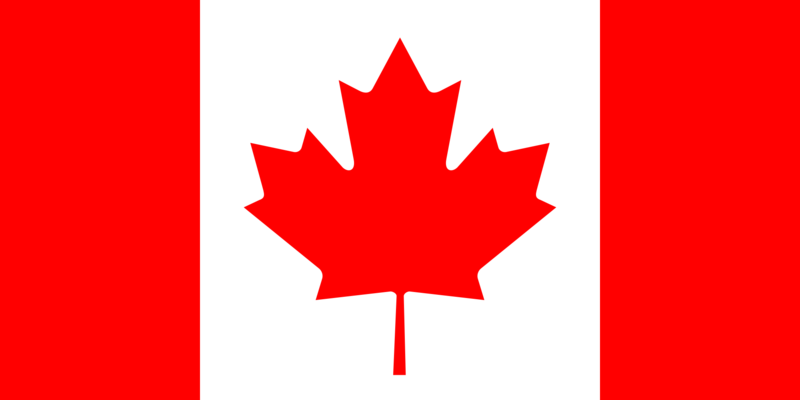 Last but not least is the Toronto Blue Jay’s number one prospect, Daniel Norris. Norris is definitely not your typical professional athlete. He has a $2 million signing bonus, a deal with a Nike, a consistent 92mph fast ball, and a… 1978 Westfalia van that he lives in and parks at Wal-Mart… He’s a… Well he sort of… Just check out Vice Sport’s video. Having travelled most of his life on a constant search for a place to plant his roots, Pete found the perfect solution with tiny houses. 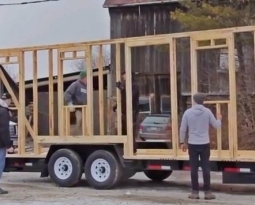 A strong advocate for the tiny house movement and a simpler way of life, Pete believes everyone can benefit from the philosophy of living within your means and quality over quantity. If he’s not answering your emails, or chatting with you over THCC’s Twitter, Facebook, Instagram, or Google+ accounts, you can find him playing frisbee with his dog Charlie, running drills on the rugby pitch, or planning his next hiking and camping adventure.